2012 Occupying Potato, Islip Art Museum. Curated by Jeffrey Allen Price. 2012 Martin Bromirski, Rachel LaBine, Elizabeth Riley, at Storefront Bushwick, NY. 2011 Improbable Self, St Cecilia's Convent, Brooklyn, NY. Curated by Fran Holstrom. 2011 Beach on the Moon, Wildlife, Brooklyn NY. Curated by Jamison Brosseau and Jon Lutz. 2011 Small Black Show, Small Black Door, Ridgewood, NY. 2011 Darkness Falls Upon Us, NIAD Art Center, Richmond, CA. Curated by Timothy Buckwalter. 2009 My Certain Fate, Pharmaka, Los Angeles, CA. Curated by Timothy Buckwalter. 2007 The Blogger Show, Digging Pitt Gallery, Pittsburgh, PA and Agni Gallery, NYC, NY (concurrently). 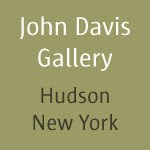 Curated by John Morris with Susan Constanse. 2007 The Heroes Show, Bryce's Barber Shop, Olympia, WA. Curated by Laura Sharp Wilson. 2007 Building Picturing, The Painting Center, NYC, NY. Curated by Vittorio Colaizzi. 2006 Work In Progress, D.U.M.B.O. Arts Center, Brooklyn, NY. Curated by Jessica Hough. 2005 radius250, Artspace Gallery at Plant Zero, Richmond VA. Juried by John Ravenal. 2005 …and death, Newspace Gallery, Manchester Community College, Manchester CT. Curated by Susan Classen-Sullivan and Pawel Wojtasik. 2005 Specific Density: Artists of Inliquid, Borowsky Gallery, Philadelphia, PA. Curated by Miriam Seidel. 2004 Japan-O-Rama, artSPACE@16, Malden, MA. Curated by Leika Akiyama. 2004 Freeform, Media Bureau Networks, Philadelphia, PA. Curated by Tadashi Moriyama. 2004 The Apartment Show, Apt. 306, Richmond, VA. Organized by Mike Ellyson. 2003 Preliminary Sketches, The Arts Center of the Capital Region, Troy, NY. Co-curated by Lisa Dorin and Gina Occhiograsso. 2001 Beyond Our Vision, Bemidji Community Art Center, Bemidji, MN. Curated by Carol Struve. 1994 Annual Juried Art Exhibition, Penn Charter School, Philadelphia, PA. First Prize. 1994 Color Now, Main Line Art Center, Haverford, PA. Juried by Laura Rosenstock. ArtCritical New MoMA Roundtable Part II?